We often pass site search improvement as a task that can be done soon in the future. We often treat it with the least priority unlike the landing pages, email marketing, and product page optimization. In the meantime, we miss the fact that searching on an eCommerce can improve the conversion rates and lead to jolly shoppers. These are the shoppers who come back and purchase again, then share their experience with others. You must have visited the big eCommerce sites like Amazon and eBay. Have you ever wondered how despite having such a huge list of products and categories, you get instant results about whatever product you type in their search box? Or, why the big brand names like Apple return the search result so fast? Why the big brands always return the results so fast? There is a simple answer to this. These successful companies know the importance of website search improvement and how they can grow sales with it. So, what about you? I understand that you might not be a giant like Amazon who has funds and people to manage it. But think again, is it the only thing that stopping you from getting an efficient website search performance? If it is so, there are few simple tweaks that you can do or get implemented to improve your site search and acquire happy customers. It’s basic, but still, I have seen sites without website search functionality, or even if they have they hide it while on the mobile version. Today, the online world is so fast. People don’t have the patience to browse everything on your website and pick out what they need. Even on a smaller site with few number of products, you won’t find users looking at everything to get their desired product out of the heap. The first thing a user does when landed on an eCommerce site is to find the search box and search for the desired product. Almost all of your users will use the ‘Search-Bar’, and the search term data will provide you valuable insight into what your visitors are actually interested in. No matter how you have set up a website search functionality, having an internal website search is crucial. It can be used to improve your SEO, user experience, and conversion rate. So, if you don’t have a website search already, get one as soon as possible. Search bar is the first entity that one looks out on an eCommerce site. What would be worse than not having a website search at all? It would be hiding the search bar so that customers cannot find it at all. Often times due to website design or the theme structure, search bar remains shrunken as a small magnifying glass icon. Here, the concern lies on, if you do not make the search bar visible enough, users won’t find it. If they won’t find it, they won’t use it. So, make it visible by offsetting it in a different color from your website’s color scheme. It can be an effective method to draw attention to the search bar and encourage people to use it. Alternatively, make it bigger enough and place it in the center with a placeholder in it. When it comes to eCommerce website search improvement, lower latency is what that wins the conversions. Taking Search engines like Google, and Bing as an example, you cannot deny the kind of speed they possess in showing the search results. Search engines like Google take micro-seconds to display results from the whole world wide web, then why should it take more than that to search an item on your website only? It’s time you understand the importance of time and do whatever it takes to make it faster. For a start, if you are taking an eCommerce search solution service, you must make sure it utilizes the Natural Language Processing (NLP) to offer a faster and intelligent search result. NLP uses a much more intuitive approach to process the search queries and presents a more intelligent search result. It doesn’t see the search phrases as a sequence of keywords, instead, it evaluates the actual meaning behind the phrase. Autocomplete is a great time saver and provides a smarter user experience in website search. For example, on search engines like Google, and Bing, autocomplete is seen as an addicted feature. When you start typing in the search box, you would see a drop-down list of suggested search queries. It’s fast like anything and extremely accurate in search query prediction. It seems to be a simple mechanism, but behind this simplicity for the users, there is a lot of data processing involved. There is artificial intelligence involved which takes several sensors into accounts such as location, search history, semantic analysis, trend analysis and much more. When it goes to eCommerce websites, the task becomes more crucial as it involves not only showing the search suggestions but also best fit products and categories with them. I suggest using both the search query suggestion and product suggestion, as it would increase the chances of direct checkout if the user has already seen the product description and other details on your site. If you don’t have the feature on your site, get an autocomplete solution and install it, or you can also get in touch with a website search service for the same. A picture increases the chances of click through. It’s worth a thousand words if placed accurately. Make sure that you are showing product images and a brief detail in the search results itself. 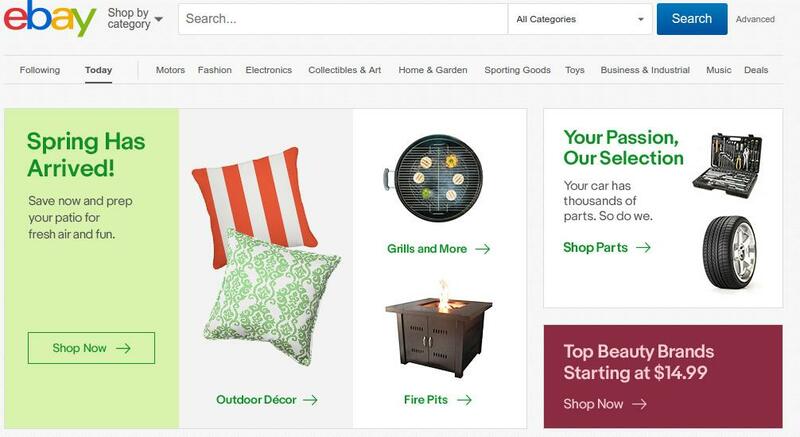 It will improve the likelihood of getting a direct checkout from the search result itself. For this, you need to put the add to cart feature too in the search results. Moreover, a more powerful impact can be created by showing image thumbnail of the product in the search auto suggestion too. Finally, A good website search would provide much more improvements like this. There many other such improvements which can be done either by installing a website search solution or acquiring a good eCommerce website search service. If you are still using the stock website search, it’s time you look for an upgrade so as to make the user experience on your website even better.